Olives and sundried tomatoes, mushrooms and basil, smoked paprika and roasted peppers combine to create a unique nutroast. 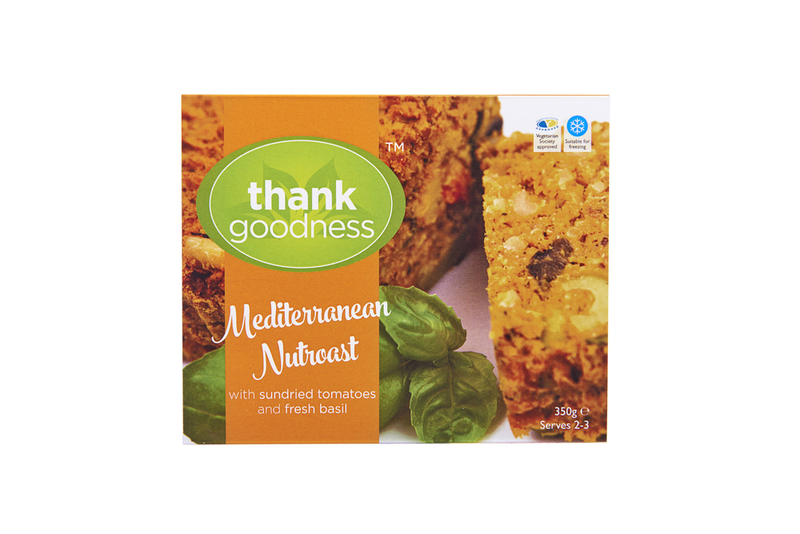 Ingredients: Wholemeal bread, cheese, onions, courgettes, cashews, Brazils, peanuts, eggs, olives, tomato puree, sundried tomatoes, red peppers, quinoa, gram flour, garlic, butter, basil, mushrooms, sunflower oil, yeast extract, rosemary, thyme, salt, pepper, smoked paprika. The Mediterranean Nutroast was very tasty, and next time we order, we will add some of these to our order. We enjoyed our mid-week treat and now think your nutroasts are too good to have only on Sundays! 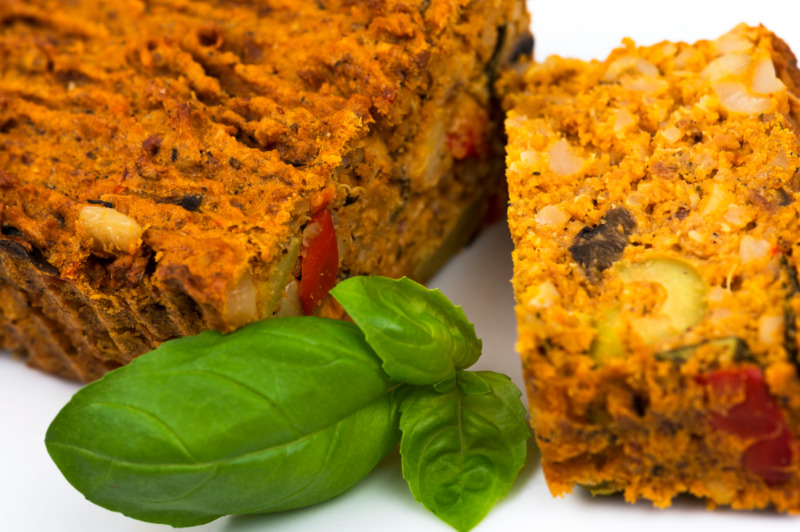 We bought your Mediterranean nut roast at the Food Fair at Greenfields, Donnington, the other week. We have just eaten the last of it, having had it hot, cold and then (I am ashamed to say), hot again. It has been delicious each time, with a crunchy texture and interesting taste that suits both our palates. We will certainly be buying more and recommending your products to our friends. Where can we buy your products - only over the internet, or in local Shropshire shops? We live in Newport. Thank you for introducing us to a vegetarian product that we want to eat more of. We have several vegetarian friends and this will be a great stand by, but also for us, as an alternative to meat. We are keen to try your other products too. Thank you so much.